Our mission history in Angola is marked with lots of hard work and sufferings. On March 6, 1931, the pioneering Sisters, Sr. Alberta Fischer, Sr. Adriana Kästle, Sr. Anthusa Kindl and Sr. Veremunda Fürst, arrived in Ganague, South of Angola. On the following year, with our Sisters, Ildephonsa Behr, Nazarina Lechner, Frowina Hutter and Isberga Gruber, Cuchi mission was founded, followed by the Cuvango community: (Sr. Dietlinde Kleinlein, Sr. Gebtraud Grimminger, Sr. Hadmunda Hollik and Sr. Regulinde Reiter). The Sisters were invited by the Congregation of the Holy Spirit, to take care of the orphans and the intern girls and their formation, as well as catechism, pastoral and nursing care. These communities were part of the Windhoek Priory. The three communities worked with the priests of the Holy Spirit and later on with the Redemptorist priests. At the beginning of the World War II, the German Sisters were expelled. But because the Superior of Cuchi hid all their passports, it was impossible for them to leave. After WW II, the community of Cuchi was strengthened with the presence of other Sisters. 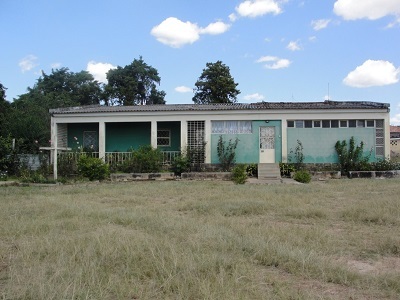 In 1967, four of our Sisters, invited by The Singeverga Abbey and the Bishop of Luso, who was also Benedictine, started one community in Cazombo, east of Angola, near Congo. This foundation was done from Portugal and the community belonged to the Baltar Priory. In the year 1972, the mission in Serpa Pinto, now Menongue, capital of Kuando-Kubango province, was opened. It was very difficult that time because of the fight for independence which was everywhere. After the declaration of Independence, twenty-seven years of civil war followed. In 1975, our Sisters were advised to leave Angola. Then the Sisters of Cazombo community left followed by the Cuchi and Serpa Pinto communities. In 1977 three Sisters returned to Angola and were working in Menongue. Meanwhile, the need of having a house in Luanda was getting stronger. How could it be possible to install a community in the Capital? Thus in 1982 a community were opened on the 10th floor of a building which was not very easy due to the prevalent lack of electricity. The Sisters worked at the Episcopal Conference and the National Caritas. In 1991, St. Andrew’s convent was founded in Petrangol district, periphery (outskirts) of Luanda which served as the formation house. Later on, the sisters were able to acquire two small houses, annexed, at the center of the city, where the sisters of St. Benedict community lived until 2013. From the sale of St. Andrew’s house, it was possible to acquire a land in Kikolo where a convent and formation house were built. Already at the time as the Sisters were living in Cazombo, there were young ladies interested in our way of life. The fruit of work on vocation promotion is our Sr. Teresa Maria Umba Cutaneguera, the first African vocation in our Congregation. On the 80’s the Angolan formandees had their formation in Nairobi. In after years, the formation was moved to Luanda. Recently, the plan is that part of the formation of Angolan young formandees is to be spent in Windhoek, for them to experience at the very beginning of their formation the internationality of our congregation. The communities of Angola were part of the Generalate District in 1983. Since 2003 the Region of Angola is affiliated to Torres Novas Priory. Kikolo is an area of 2,4ha acquired in 1998. At that time it was outside the city, but like Luanda, it’s growing rapidly. Now the community is at the middle of a very poor population. It is the only religious community present in St. Elisabeth parish. The sisters are very much involved in many pastoral works. 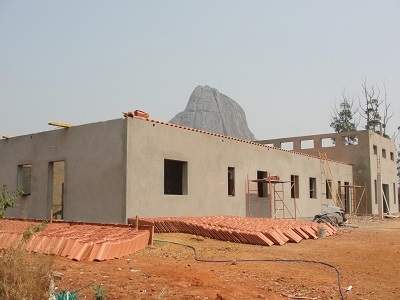 In our terrain there is a school functioning for the formation of the youth and adults, which was initiated by Caritas. We assumed the running of the said school from 2014. 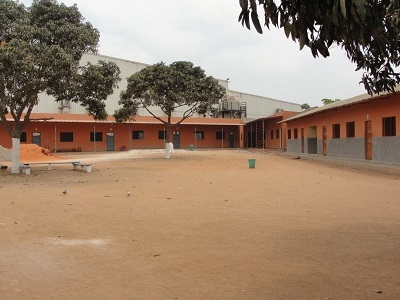 Since then, seven classrooms were constructed and some other improvements were being made, so much the construction as well as the pedagogical organization. The community is composed of seven Sisters who are dedicated in pastoral education in our school with more than a thousand students. One Sister is working as a nurse in the public hospital. Apart from their collaboration in the Cathedral parish, some of the Sisters travel to Cuchi every Saturday to gather the people for Catechism and prayers, in the middle of the ruins of our old houses. In 1998, the community in Kuito, Capital of the Province of Bié, was opened. The city was devastated during the civil war. The fact that in Kuito there are plenty of schools wherein the sisters as well as the young formandees who are preparing for consecrated life, could study, is beneficial for the small community. The Bishop of the Sumbe Diocese invited us to work in Waku-Kungo. In 2011 a land was given to us. After a long process to obtain the land title, we began to construct a convent. Waku-Kungo is situated between Luanda and Menongue, which favors the easy communication of the communities. 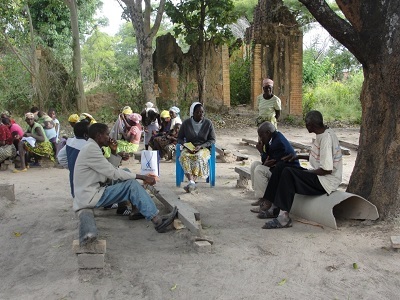 The plan for this community is to dedicate to the human and religious formation of the village population, with its preference on the women formation.